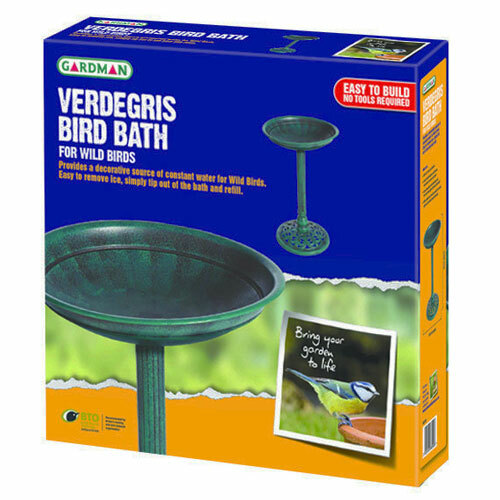 Gardman Verdegris Bird Bath For Wild Birds is an ideal starter in the world of essential birdcare. Providing a decorative but valuable water source for wild birds out of the reach of predators, this bird bath is easy to assemble and maintain. Birds need all the help they can during the Winter or Summer months where fresh water can be hard to find. Verdegris Bird Bath offers a way to do your bit in your own garden, whilst enjoying the sight of visiting birds.